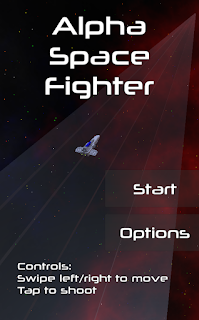 So I think it is about time I got the UI sorted. On this one I dont have many in-progress shots as it kind of just fell together as I was playing with it. I have also added a button for reward videos. It will only be visible after a certain percentage of runs. At this stage I am thinking 1 in 4, with a 1000 creds (in game currency) bonus. 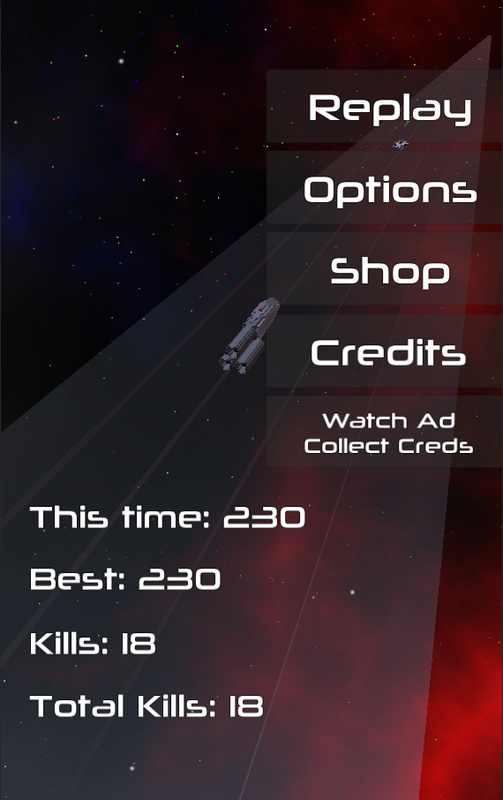 The bonus is approx 4 times what can be earned in 30 seconds in game currently. 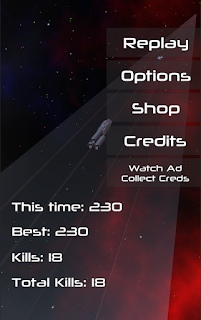 Currently the Ads are set in test mode, but still give the reward out. The rewards Ads will be the only monetization in the game. 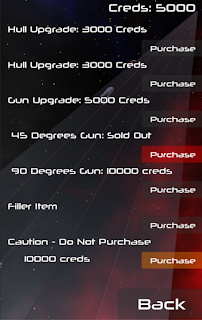 The shop will only have in game currency options available. 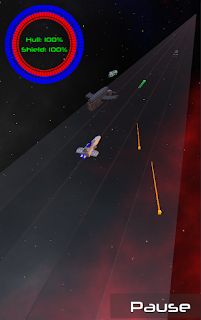 The shop system is now fully functional too. 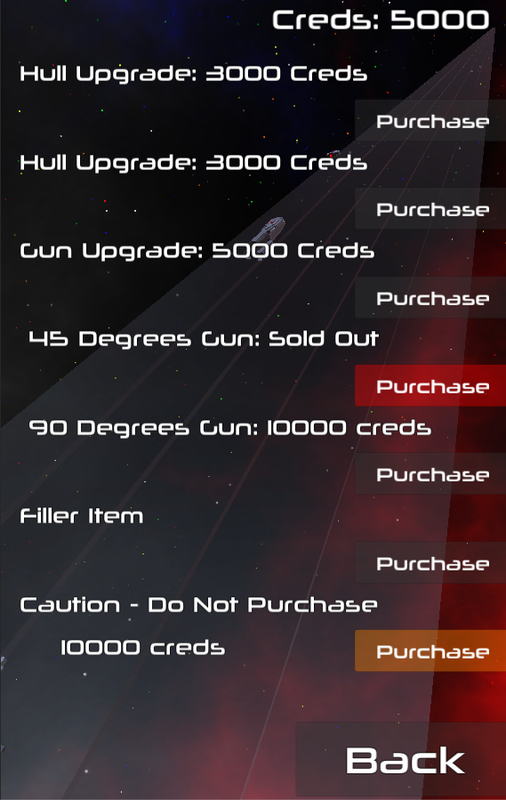 The Hull, Shield, and all the Gun upgrade buttons now fully work, as well as the do not buy button, which multiplies creds earned, but resets everything back to default. 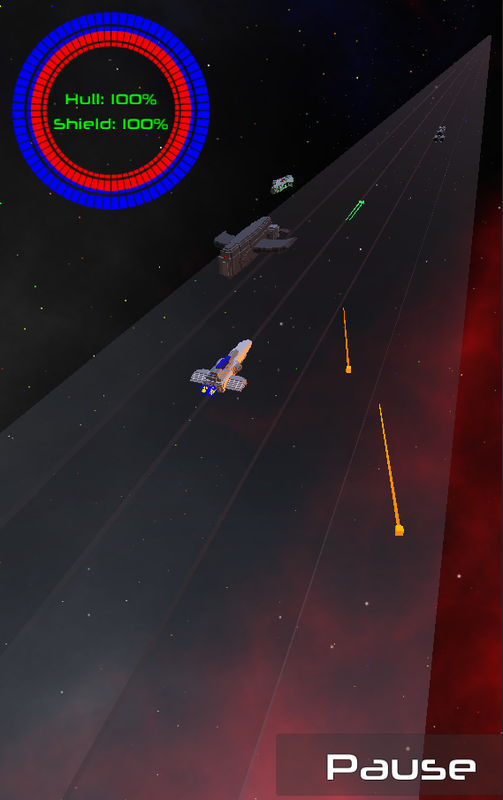 This update brings the game to very nearly feature complete. Art for launch is still in need, starting with another new icon. I think this is a good spot to end the blog this week. 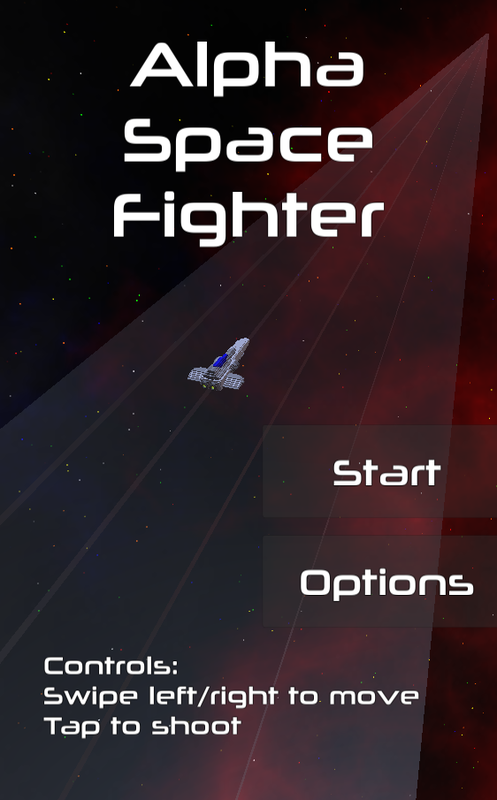 Play the current build of Alpha Space Fighter.